"MangaGrill" is app anyone can create a simple operation. -Easiest way to make Manga and characters. Use various parts and make characters of your own! 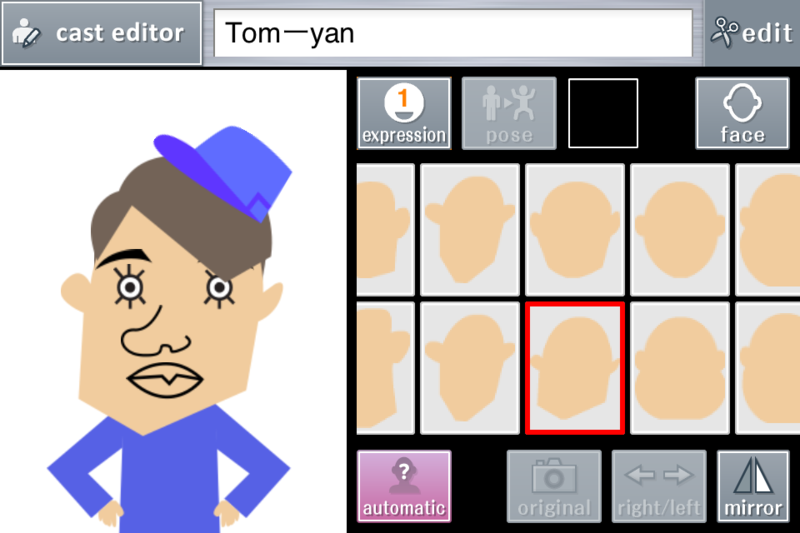 Compose your original characters using facial parts such as face, eyes, nose, mouth and so on. There are 16 kinds of facial parts! You can create any characters by their infinite combination. Character automation system is available for busy creators. You don’t even have to combine parts. Just push automation button and you’ll get your accidental character. 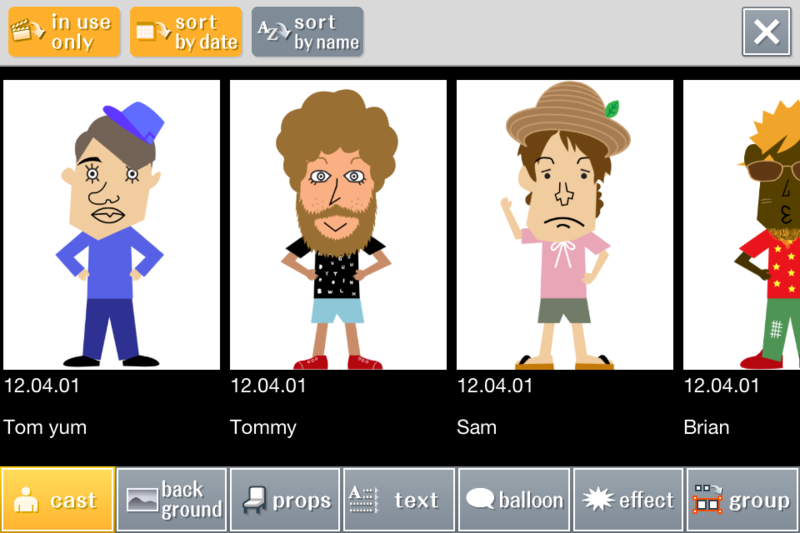 Add background picture and scripts with speech balloons and your character will be lively. 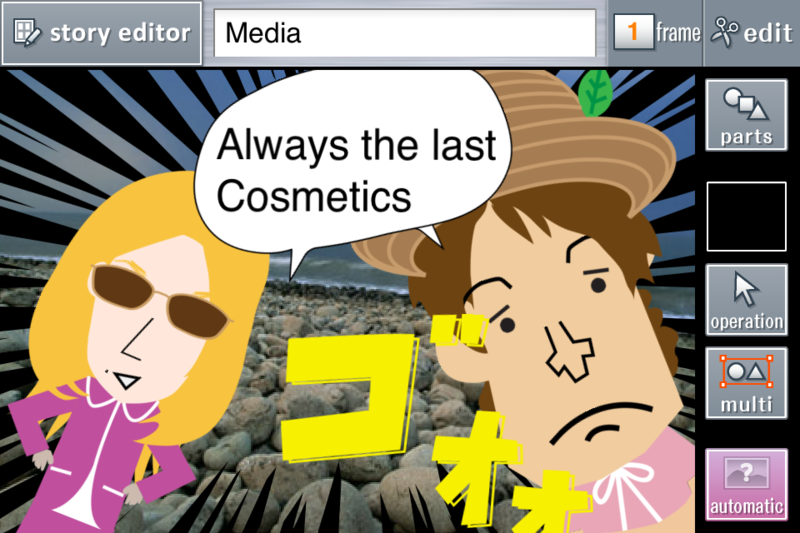 Select nice background and speech balloon from many variations to fit Manga scenario. -Publish Manga work in many formats! From four-frame Manga to long story! Manga work can be exported in many formats, such as one-frame, four-frame, etc. -Show off your work on“Manga Grill Party” website. Use our community website “Manga Grill Party” and present your work to public. Post your tour de force and make debut as comic author! -Share your work with facebook and twitter! Show off your Manga to the whole world! 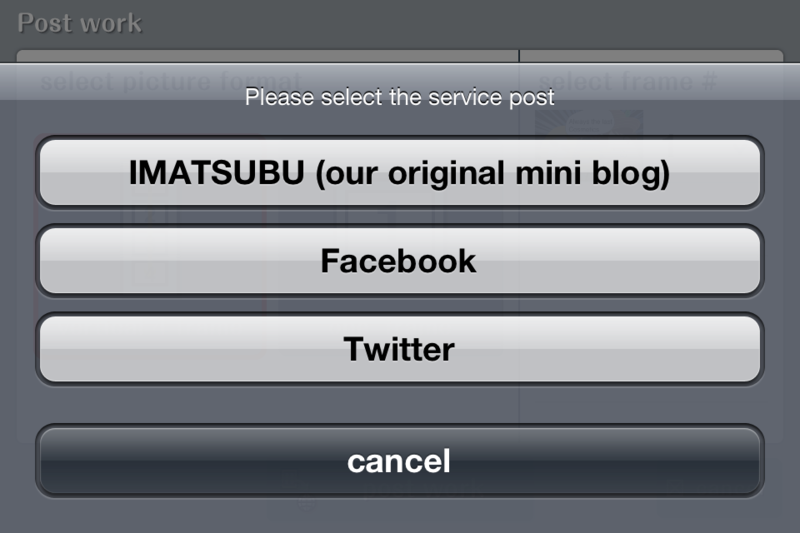 - Support the Twitter API 1.1. - Added the function of re-editing text.